Addison Fire Protection District Explorer Post 343 – What is Exploring? Exploring is Learning for Life’s career education program for young men and women who are at least 14 (and have completed 8th grade) and not yet 21 years old. Adults are selected by the participating organization for involvement in the program. Color, race, religion, gender, sexual orientation, ethnic background, economic status and citizenship are not criteria for participation. Exploring is all about helping young adults make a more informed decision about future careers and determine if a particular career is the right one for them. Typically, a young adult will either: 1) get involved, learn about a career, and decide to pursue it; OR 2) learn enough about the career to determine it’s not the right fit for them. It’s better to learn as a young adult that a career is not for you, than after spending lots of money on an education only to THEN discover you don’t like the career! Exploring leaders volunteer their time to provide real-world career experiences for young adults. Exploring is not about lectures and slide shows, it’s about gaining practical experience in a career field. The result is a program of activities that helps youth pursue their special interests, grow, and develop. 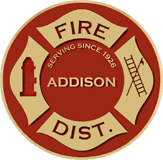 The Addison Fire Protection District has limited spots in Explorer Post 343. If you are interested in becoming an Explorer with our post, please contact the fire district at admin@addisonfire.org and a post representative will contact you. We encourage you to learn more about Exploring by visiting the Learning for Life website by clicking here.